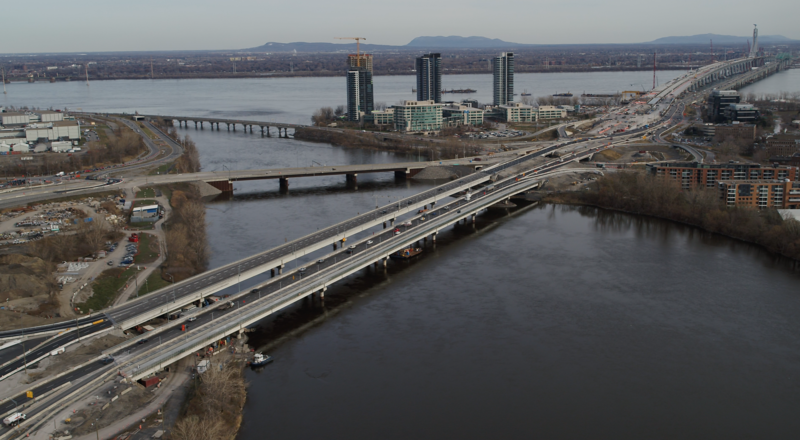 On Monday, November 12th, we reached a very important milestone, the complete opening of the new ‘Île-des-Soeurs Bridge, the second largest bridge of the project which is a 500 meters long. Demolition work on the old bridge, in less than six months, from autumn 2015 to spring 2016, in full compliance with environmental standards. From spring to summer 2016, the drilling of the 66 piles in a shallow stream, with a very changeable flow, was carried out, before concreting the 30 columns supporting the pier caps. The installation of the 160 box girders in a marine environment and in a small space with barge cranes represented the biggest challenge of this project. It lasted from fall 2016 to fall 2017. Concreting of the north and south decks continued from summer 2017 to fall 2018. Paving and finishing work allowed us a first partial opening to traffic of the north deck during summer 2018 and a transfer on the south deck early fall of 2018. Without forgetting a multitude of temporary and permanent structures to maintain mobility and fluidity for motorists (even cyclists !!!) in the A15 axis. 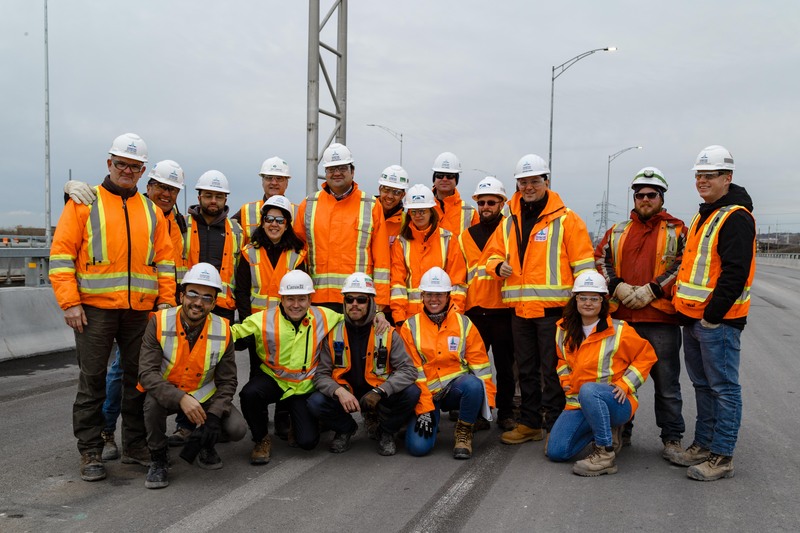 This new legacy for Montrealers was officially inaugurated Friday, November 9, by several elected officials, including Federal Minister François-Philippe Champagne, in the presence of several members of the team. Let’s take our hat off to our workers, engineers, environmentalists and mobility experts who built this new bridge in 30 months.